The main purpose of periodic inspection and testing is to detect so far as is reasonably practicable, and to report on, any factors impairing or likely to impair the safety of an electrical installation. Electrical installations in poor condition present risks of fire as well as electric shock. 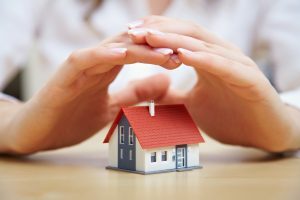 What is an EICR ? An Electrical Installation Condition Report (EICR) formerly called a Period Inspection Report, is a report, not a certificate. It serves to provide an assessment of the existing electrical installation against the current national standards. The full report contains; Electrical Installation Condition Report, Schedule of Inspections and Schedule of Test Results. The report will summarise if the overall condition of the installation is satisfactory or not, and it will detail any defects found in order of their severity. Is an EICR necessary ? Electrical Installation Condition Reports are necessary because all electrical installations deteriorate over time due to factors such as wear & tear, corrosion, damage, environmental influences and excessive electrical loading. It is a legal requirement that electrical installations are maintained in a safe condition, periodic inspection and testing is an industry recognised practice to help meet this requirement. Who needs an EICR ? What does an EICR include ? 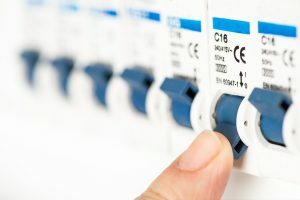 The Electrical Installation Condition Report includes a detailed assessment of the agreed parts of the installation with any limitations agreed before hand. It does not include any work to rectify any defects are problems found. Our technician will give you a full briefing to explain the contents of the report, including advice on how to remedy any issues discovered during the inspection and testing. If at any point during the inspection of your installation our technician finds anything that they consider to be significantly unsafe they will isolate it and make it safe. If at this point the result of the installation can not be tested the reporting will be terminated and full fee still due. Once the defect has been remedied then an new appointment can be made to inspect and test the whole installation. Any known damage or problems must be clearly identified before the inspection begins. Anything that can’t be unplugged or isolated must be identified as an agreed limitation.